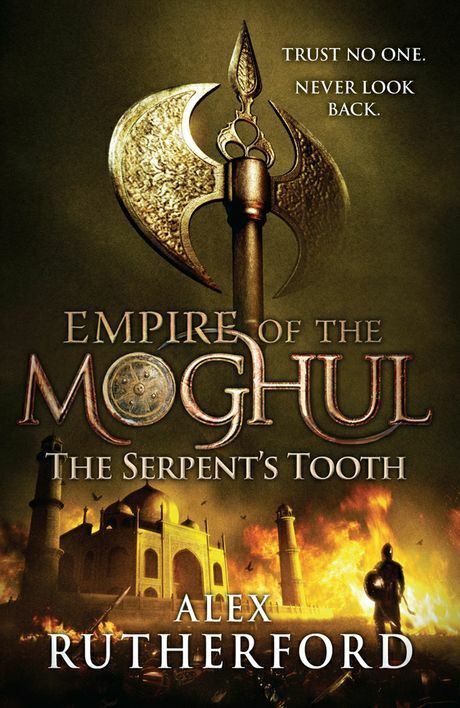 THIS is the fifth in the Moghul series by the talented Alex Rutherford (Diana Preston and husband Michael). Based on the true story of Shah Jahan and his dynasty, they have woven a powerful story of intrigue, love, loss and war. The Taj Mahal is forever enshrined as Shah Jahan’s monument to his beloved wife Mumtaz. Seeing art on a grand scale, he intended building his own tomb in black marble on the other side of the river. However ongoing war with his sons interrupted his plan. He was eventually buried alongside Mumtaz in the Taj Mahal in 1666. The imperial family’s Agra fort still conjures their luxurious life, replete with glittering gems and marble pavilions flowing with rosewater and jewelled flower inlays. But behind the opulent scenes drought and famine prevailed and rival factions came into play. This extensively researched book lends clarity and credence to an epic story. The Shah and his court come vividly alive as he walks in the scented gardens surrounding the magnificent white marble mausoleum lamenting his beloved Mumtaz, away from the pressures of ruling his empire and his wayward family. He knew even then that with this immortal monument history would not forget his reign, but in his overwhelming grief and increasing isolation he does not see the escalating rivalries between his sons, leading to the kingdom’s eventual downfall. This is surely one of the world’s great love stories, set against a backdrop of sweeping action and ruthless civil war. In beautiful prose, the writing team’s compelling story had me engrossed all the way.